Our Scrum Master Certified Online Course has over 97% pass rates. You will be given everything you need to sit and pass your accreditation exam (which is also included). Our online course is accredited by ScrumStudy and offers so much more than online training. Full tutor support is offered throughout your learning. You can sit for the online exam online at home or in your office using your laptop/computer with a stable internet connection, a web cam and microphone at any convenient time. Let us know when you are ready to book your exam and we will arrange this for you. You have six months’ online access to this course. Scrum Master Certified (SMC™) professionals have a practical, working knowledge of Scrum that equips them to implement and work in a Scrum environment. The purpose of the exam is to confirm the applicants have achieved sufficient understanding on how to apply Scrum in their projects and to tailor Scrum in a particular scenario. Audience Profile: This certification is appropriate for anyone who is interested in working as a Scrum Master or for someone who is already a Scrum master in his organization. Scrum Master is an important role in any Scrum team and the Scrum Master does not have to be a technology expert to be effective. 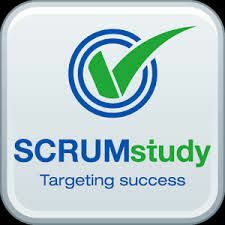 Moreover, although Scrum is popular in the IT industry, it is used effectively across different industries. The Scrum Book Of Knowledge Guide, on which the SMC course is based on, can be used as an effective guide for implementation. Reference book: A Guide to Scrum Body of Knowledge (SBOK™ Guide) by SCRUMstudy. Expected Outcome: The participants will be prepared to take SMC™ certification exam and pass. Also they will be able to apply the concepts in their day to day jobs. Maintaining Certification: To maintain the certification status, Scrum Master Certified (SMC™) professionals will need to earn 40 re-certification credits every 2 years.